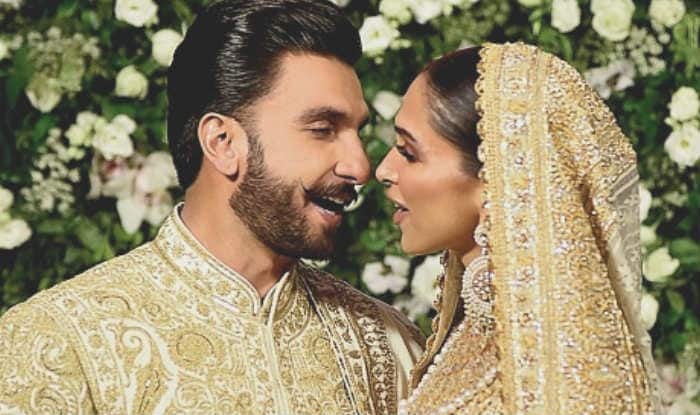 This is how Deepika Padukone is making Ranveer Singh become a "good boy"
Ranveer Singh and Deepika Padukone are one of the most loved couples of Bollywood. Before tying the knot, the couple never confessed about their love for each other and post their marriage, they just cannot stop praising each other. In a recent interview, Ranveer’s good friend and his Gunday co-star Arjun Kapoor made Ranveer reveal about how Deepika has brought changes in his morning routine. Ranveer who is currently busy promoting his upcoming film Gully Boy where he will be seen with Alia Bhatt was recently in an interview where Arjun questioned Ranveer about the change that his wife and “booboo” Deepika has brought in his morning routine. Ranveer blushed and said, “I am a nocturnal creature. I am so wound up through the day that I take a long time to unwind at night. I sleep late and have trouble waking up. But now that I am in grahasti, Things are much better. I reach places on time. I reach my appointments on time. But she has a background of being a sports person and the core is attached to discipline..she is proper about her sleeping and eating habits. She makes sure she is calling me and telling me that Chalo Ho geya abi come home and sleep. She puts me to bed on time. She makes sure I sleep on time and wake up on time. I am getting into a healthy routine. All her positive influence are doing me well. I was prepared for it coz I was a bit of Ayaash pehle. Now, I am becoming a good boy”. On the professional front, Ranveer’s film Gully Boy is all set to hit screens tomorrow, February 14. This is the first time that Ranveer will be seen with Alia.